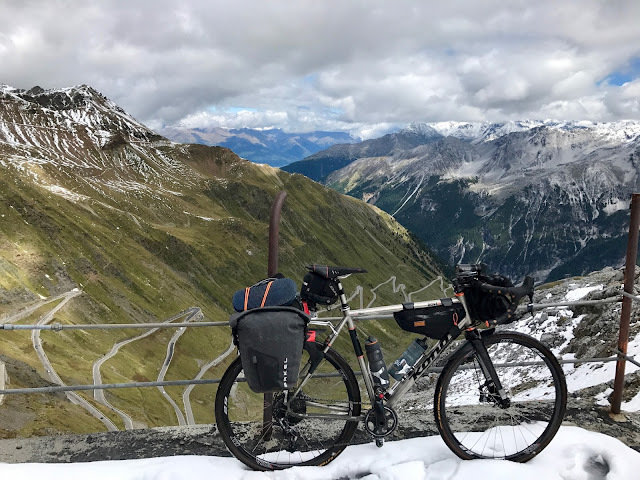 I have ridden many of the mountain ranges of Europe; the Alps, the Pyrenees, the Central Massif, and many lesser known but equally challenging areas. 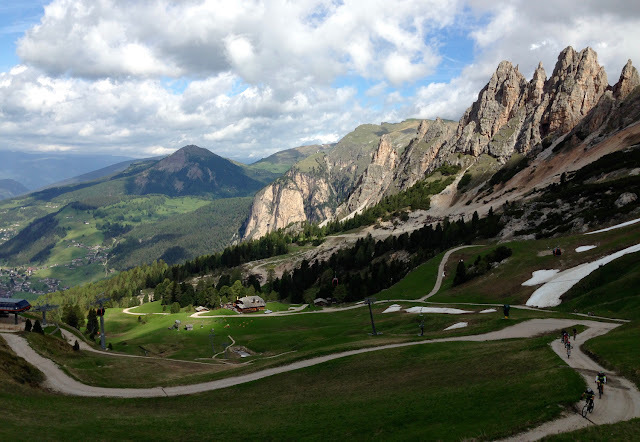 Yet, one region clearly tops them all for me — the Dolomites. The Dolomites always deliver. 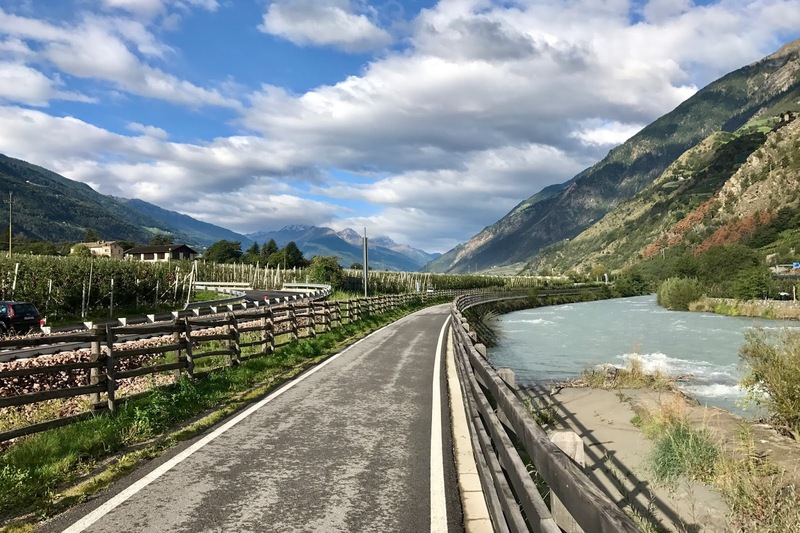 The mix of single-track roads and stunning mountain passes such as Timmelsjoch and Stelvio make it a diverse and challenging place for road cyclists. The brutally steep climbs and twisting gravel paths under the ski lifts make for incredible off-road riding. Then, for the more leisurely days, the pristine bike paths through the vineyards and orchards are pure tranquillity. 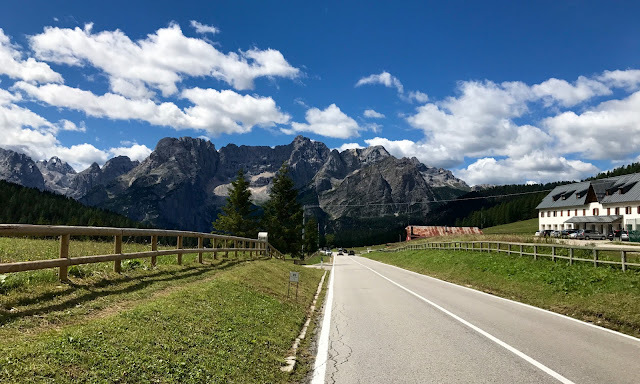 I rave about the riding in the Dolomites so much that I decided it was about time I wrote a post about it. There are many great parts to the Dolomites mountain range, but in this post I decided to focus on making the town of Merano a base, and look in detail at the routes and climbs you can reach from this stunning South Tyrolean province. First things first: how do you get there? 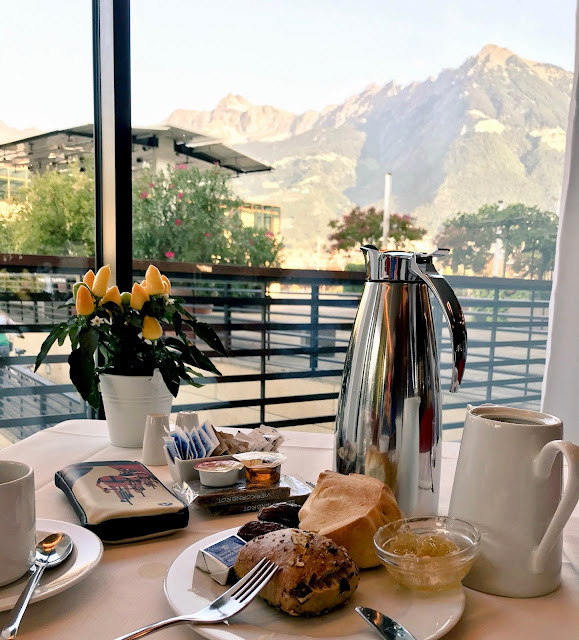 The easiest way from the UK is to fly into Munich or Verona, and hire a car or catch the train to Merano. Munich is three hours away by road, and Verona around ninety minutes; Verona has a good direct train link to Bolzano and then onwards to Merano. 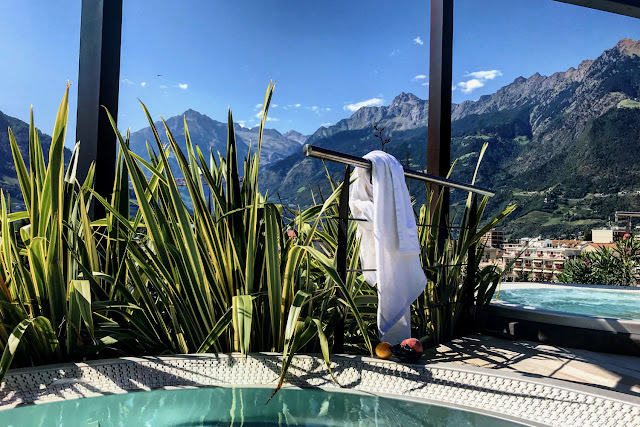 This is another easy one – possibly my favourite hotel in the world is in South Tyrol – Hotel Terme Merano. The modern and stylish hotel is located in the very centre of the town, and many of the rooms look out with panoramic mountain views. 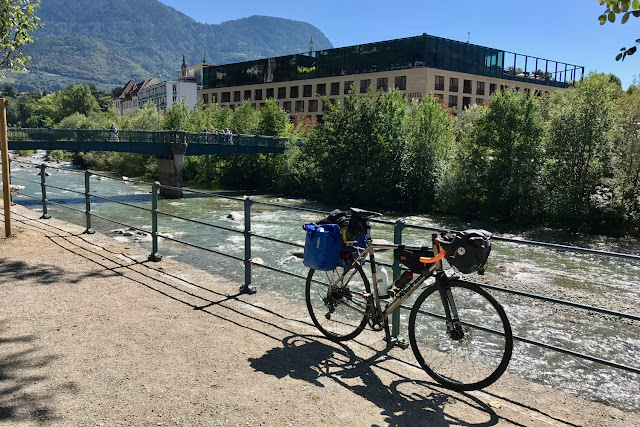 There is a dedicated bike storage room, which is secure and only accessible by the hotel porter. Then there is a restaurant that serves the most incredible breakfast and evening meals - an exquisite mix of Austrian and Italian influenced cuisine. Then, there is the spa… as a hotel guest you have access to the famous Merano Terme Spa, located just next to the hotel; but now you also have the exclusive pleasure of Hotel Terme's own Sky Spa - a roof-top terrace with aromatherapy pools, saunas, and swimming pool; this place was incredible to ease my sore muscles on the #RoadsFromRome stopover, and I would recommend it to any weary cyclist. 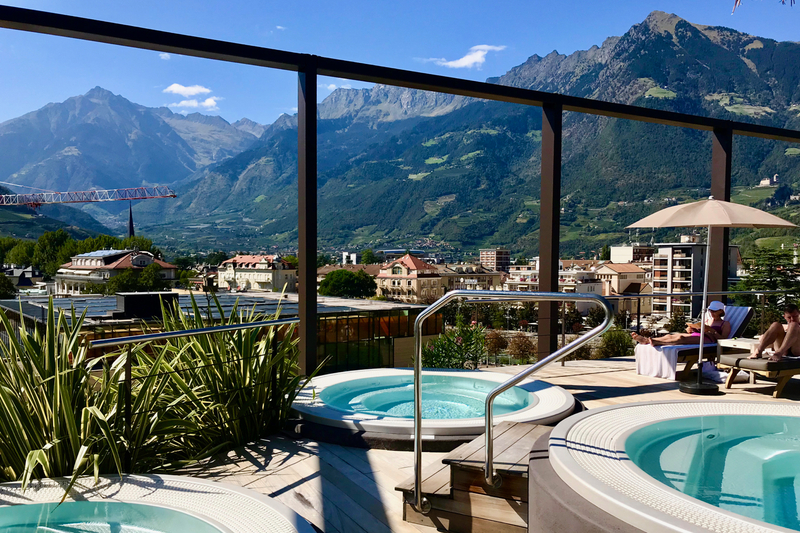 Hotel Terme Merano is the perfect base from which to explore the Dolomites by bike, and provides all the facilities you could hope for, in an incredible central location. Whether you are a road cyclist, mountain biker, or leisure cyclist, the Dolomites offers a diverse and interesting range of routes and challenges. 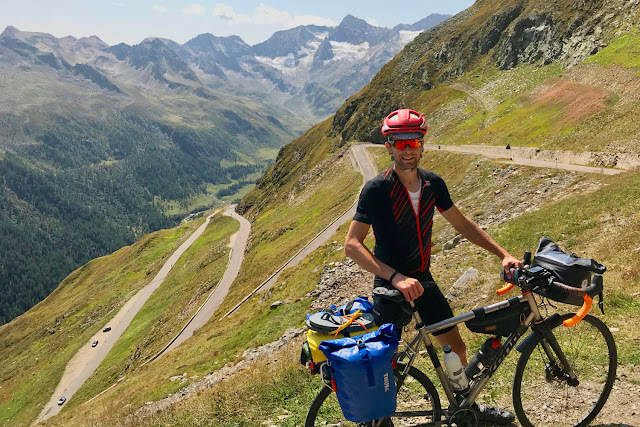 Below are three ideas for each group, to provide some inspiration for your own route planning. 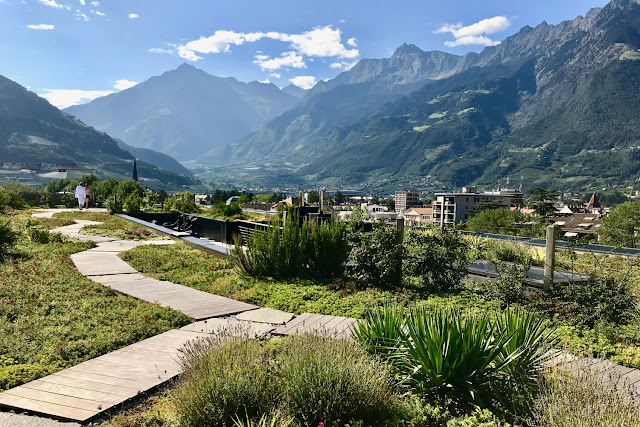 Alpine Huts - Ask for a guide to the mountain huts around Merano, and link up as many as you choose as the ideal stopping locations for a natural tour of the region. 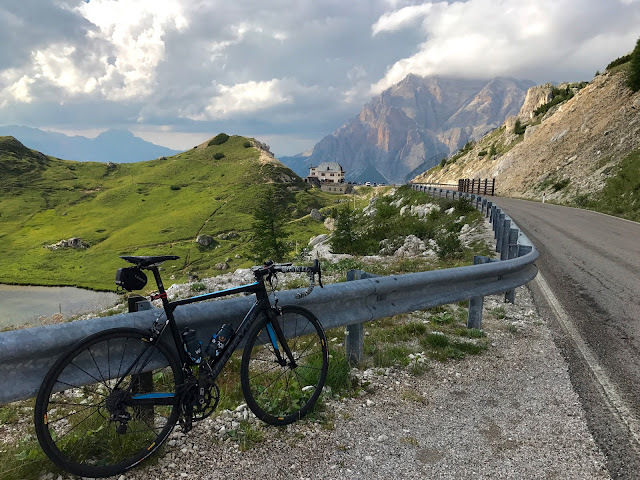 The South Tyrol Dolomites are a beautiful and diverse area in which to ride in, whatever two-wheeled form of transport you choose. I can thoroughly recommend you add it to your bucket list of cycling destinations to ride in your lifetime.